“What We Really Know” and What the AAAS Failed to Mention. It is not just natural climate forcings that the AAAS ignored. As a biologist who has studied the impacts of regional climate change on wildlife in California’s Sierra Nevada for 3 decades, the AAAS’s simplistic and misleading discussion of extinctions and ecosystem collapse is simply shameful fear mongering. I agree wholeheartedly with Dr. Pielke. It is an embarrassment to the scientific community. All my red flags were raised when the AAAS woefully wrote “As the world has gotten hotter, many of the world’s plants and animals, on land and in the oceans, have begun moving toward the poles. Where possible, some terrestrial species are moving up mountainsides, and marine species are moving to deeper depths and higher latitudes. These changes are happening on every continent and in every ocean”. To “inform the public” about their fearful conclusions, they cited 2 outdated peer-reviewed articles1,2 written by Camille Parmesan, who not surprisingly was one of the 13 scientists writing the AAAS’ media release. The section on “Ecosystem Collapse” also refers to a 2013 report by the National Research Council titled “Abrupt Impacts of Climate Change: Anticipating Surprises,” which not so coincidentally cites the same 2 Parmesan papers purporting climate caused “extinctions” and “ecosystem collapse”. If we peruse those papers, we find that one of those 2 papers1, cites 11 other Parmesan papers, creating a consensus where Parmesan agrees with Parmesan. Not only are the AAAS’s argument very inbred, they are outdated and contradicted by more recent peer-reviewed studies. Below are the most salient examples from Parmesan’s 2 suspect publications showing how they have shaped the AAAS’ narrative on climate change and biological catastrophes. 1. 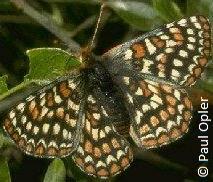 In one cited example from 1996,3 she claimed the Edith Checkerspot (Euphydryas editha) was moving northward and upward from Mexico to Canada, consistent with global warming. This paper had evoked great fears and was touted by over 500 consensus scientists as proof of global warming disruption, and got her invited to the White House. Although the AAAS authors gallantly profess that they write because it is “increasingly urgent for the public to know,” Parmesan did not take this opportunity to inform the public about the good news: Many of the populations she had declared extinct in 1996 have now fully recovered. She also failed to mention that only the statistical average moved northward and upward because the urban sprawl in southern California decimate souther populations and dominated the statistics. Actual butterflies never moved. The preponderance of evidence by several experts indicates landscape changes, not climate change, were the driving force of the extirpated populations. Read more here. 2. In another paper,4 she had claimed global warming was causing extreme weather that resulted in butterfly extinctions, and that was the mechanism driving butterflies upward and northward. Again she never reported the good news, (either originally or in this AAAS report), In their natural habitat the butterflies had thrived better than ever during the same supposed “extreme weather”. However to create the illusion of a climate catastrophe, she only published that butterflies just 10 meters away in a recently logged area were extirpated by the mountain weather, a logged area in which the food plants and the microclimate had been drastically changed. Due to such a sin of omission, I requested an official retraction but the editors of the AMS excused the deception of telling such half truths. Was the refusal to retract bad science affected by political pressure because Parmesan’s papers have been the foundation of so many biological climate catastrophe stories like this AAAS media ploy??? Read more here. 3. The AAAS cited Parmesan’s IPCC paper, “A Globally Coherent Fingerprint of Climate Change Impacts across Natural Systems”,2 in which she reported that her model could distinguish between ecological disruptions due to landscape change versus climate change, and she argued that the evidence was clear that a multitude of species were undergoing a pole-ward expansions due to climate change. Again she failed to mention that southern Montseny population was ironically extirpated due to conservation efforts not climate change. The Montseny region had been designated a natural preserve and grazing was prohibited. 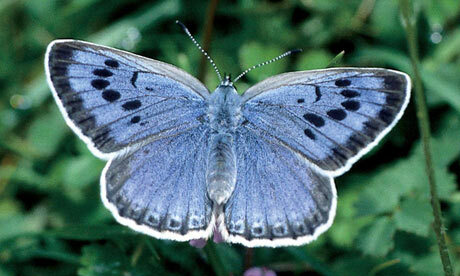 As a result the Sooty Copper lost its warm open grasslands as it converted to shady forest and shrub land. More disturbing was Parmesan altered her story. She had originally reported5 that the Sooty Copper’s northern expansion had been documented “first” in Estonia by 1942 - not 1998. Despite the AAAS’ stated intentions “that it is important and increasingly urgent for the public to know”, Parmesan and the AAAS did not report that virtually every shred of evidence has attributed those amphibian extinctions to a novel chytrid fungus spread by the pet trade and researchers. 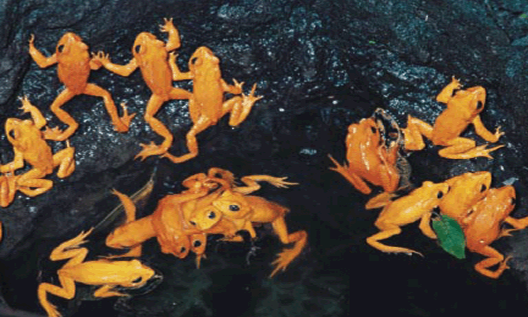 Amphibian extinctions were occurring in a pattern exactly opposite to global warming theory. Population of amphibians species were thriving in warmer habitat, but extirpated in cooler high elevations, or during the winter. Despite the consensus that virtually all amphibian deaths can be attributed to lost habitat or the spread of the deadly chytrid fungus, Parmesan continues to argue climate change killed the Golden Toad and other amphibians.6 If amphibian extinctions were truly their concern, this would be a good time for the AAAS to warn the public that moving tadpoles and frogs from one place to another spreads the disease and is a much bigger problem than climate change. Parmesan had cited papers that had indeed reported dramatic shifts in marine communities, but she failed to report that those authors had suspected or predicted those “climatic variables” were natural cycles. She and the AAAS failed to share with the public recent research that has now verified those natural cycles. To date the northward extension of cod and other well documented marine organisms have yet to reach the northern extent observed earlier in the 20th century. Both papers also cited “Changes in an Assemblage of Temperate Reef Fishes Associated with a Climate Shift.” However the authors never attributed the changes to CO2 warming as Parmesan again implied. The authors reported that before 1976, there was no warming trend in the California Current, and ocean temperatures fluctuated around a lower average. Then after 1976, temperatures jumped higher and then fluctuated around a new higher average, but with no further warming trend. Holbrook cautioned, “The steep abundance declines on all levels were events that are not obvious predictions from present models of climate change.” In contrast to Parmesan’s interpretation, the authors suggested the climate shift was cyclical and they predicted the California Current would revert to cooler temperatures. They concluded the following decades “would provide a natural ‘test’ of our hypotheses” And indeed their prediction has come true. 8. In the paper cited by the AAAS, Parmesan reinforced her illusory claim about global warming driving butterflies northward and upward by cherry-picking a Eric Beever paper that claimed global warming was driving the pika upward. She reported “in the Great Basin of the western United States, 7 out of 25 re-censused populations of the pika were extinct since being recorded in the 1930s.” She failed to mention that the paper only represented a small group of previously known populations, located in isolated habitat and not readily re-colonized, and in all sites vegetation was heavily grazed. 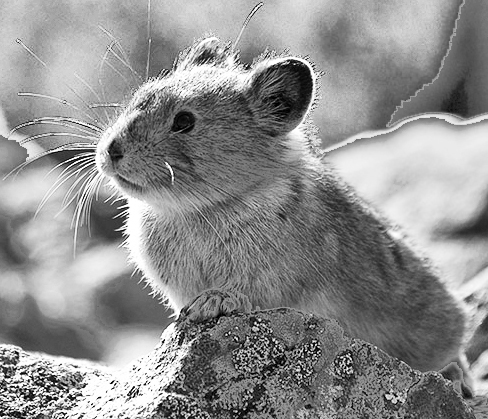 We now know far more about the pika, and again the AAAS failed to convey the good news that would assuage any climate fears. There are now more known pika populations than ever before, and they are being found in hotter habitats and at lower elevations. 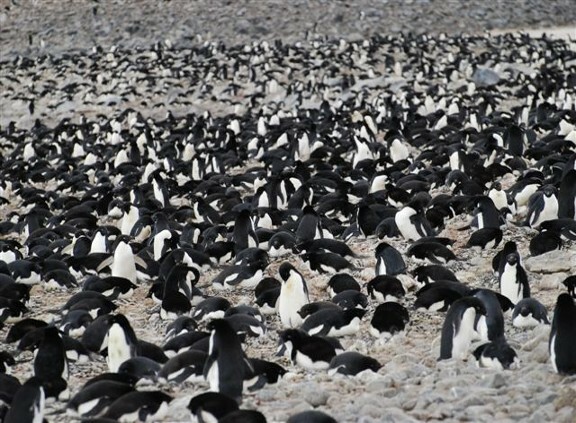 “In total, 19% of the currently known populations are found at lower elevations than ever documented by any study during the early 1900s”14 Even 2 of Beever’s original “extinct” populations have now returned. Far from alleged ecosystem collapse due to global warming, the biological icons of climate catastrophe have either recovered and are now thriving, or their demise has been clearly due to non-climatic factors like the introduced chytrid fungus and landscape changes, or the their fluctuations have been caused by changing weather associated with natural cycles. The AAAS report fails to honestly relay “What We Know” regards the climate and the state of our ecosystems. They simply rehashed outdated stories to promote fear of ecosystem collapse. The report would be more accurately titled, “What Alarmists Want You to Believe”. 1. Parmesan, C. (2006). Ecological and evolutionary responses to recent climate change. Annual Review of Ecology Evolution and Systematics, 37, 637669. 2. Parmesan, C. and Yohe, G. (2003). A globally coherent fingerprint of climate change impacts across natural systems. Nature, 421, 37-42. 8. Southward, A. et al. (1995) Seventy Years’ Observations of changes in Distribution and Abundance of Zooplankton and intertidal Organisms in the Western English Channel in relation to Rising Sea Temperature. J. Thermal Biology. vol. 20, p. 127-155. 11. Stirling, I. et al. 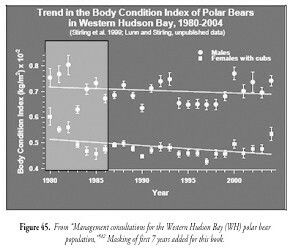 (1999) Long-term Trends in the Population Ecology of Polar Bears in Western Hudson Bay in Relation to Climatic Change. Arctic vol . 52, p. 294-306.